The young French superstar Mathieu "ZywOo" Herbaut aces Luminosity during an eco-round in the grand finals of the DreamHack Open Atlanta 2018-tournament. The comments below are written by users on Fragbite. Fragbite do not review the truthfulness of the written text and you are recommended to critically review the text. Do not assume the content of any post is truthful. Nobody has written any comments yet. 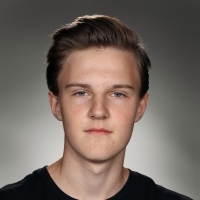 The Swedish NiP-player Fredrik "REZ" Sterner takes down all of the Vega Squadron-players. The Swedish Vexed-player Jacob "pyth" Mourujärvi takes down all of the pushing Expert-players with his Desert Eagle. Yesterday the first qualifier for Yalla! Cup was played. Eight out of 84 teams therefore qualified for the first week finals. You can already register for the next qualifier on thursday. 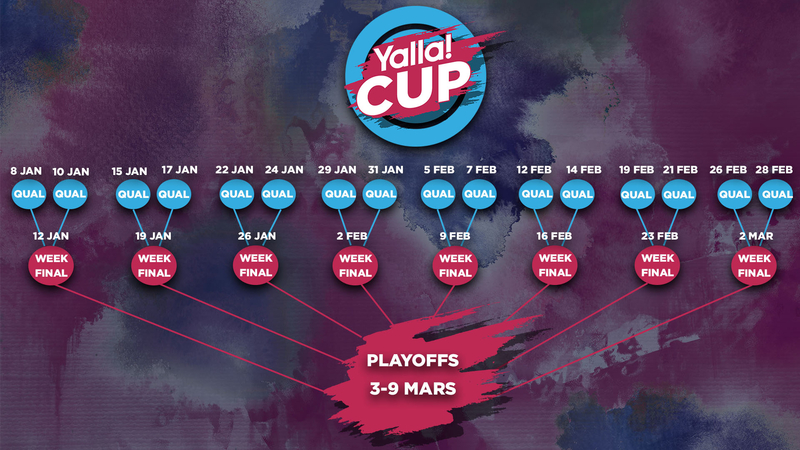 The first qualifying round of Yalla! Cup took place yesterday. A total of 84 teams participated in the first qualifier for a chance to compete in the first week final. Only eight of these teams managed to qualify. 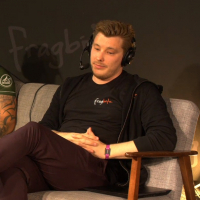 Among these teams we saw lotb and lolboll who mananged to knock out ut z_z, with players such as Joachim "darti" Fornstedt och Simon "downie" Storm. Register for the second qualifier here! The registration for Philips OneBlade Cup has opened. You and your Nordic PUBG-team have the opportunity to fight for the total prize pool of 50 000 SEK as well as some products from Philips. Philips OneBlade Cup is back once again with the first qualifiers in early January. Starting the 8th of January, there will be two qualifiers every week, on Tuesdays and Thursdays. The best eight teams from every qualifier qualifies to a weekly final that is played the same week on Saturdays. The winner of every weekly final will earn a spot in the playoffs, on the 10th of March, where they will battle it out against the top eight teams from Fragleague. The total prize pool consists of 50 000 SEK and some products from Philips. So gather your squad and gear up, it's time to show the world which Nordic country that has the best PUBG-team. All winners pay insurances, taxes, charges and expenses. Highlight after highlight has been produced by the professional CS:GO-scene during 2018, but even the best players are bound to fail at one point or another. Here we've compiled a list of the funniest fails from 2018. Happy new year! The Danish Astralis-player Peter "dupreeh" Rasmussen wins the 1vs5 against MIBR in the ECS Season 6 Finals in Arlington, Texas, USA. The Austrian EYES ON U-player Anel "Nino" Zukic single-handedly takes down Berzerk during his teams eco-round. The South Korean MVP PK-player Seon-ho "xeta" Son wins the 1vs5 in style with his P250, in the IEM Chicago 2018-match against NRG. The American Liquid-player Jonathan "EliGE" Jablonowski takes down four LDLC-players from behind with the seldom-used AUG. The Bosnian Faze-player Nikola "NiKo" Kovač takes home the eco for his team in the semifinals of the IEM Chicago-tournament. The Danish Astralis-player Emil "Magisk" Reif takes down four Counter-Terrorists with his Glock in the IEM Chicago 2018 grand final. Copyright Fragbite. All content on Fragbite is protected by Swedish copyright law. Quotes or texts based on Fragbite’s content should be preceded or followed by a source reference. The opinions expressed on Fragbite represents each individual writer, and not necessarily those of Fragbite. Development and design Fredric Bohlin. 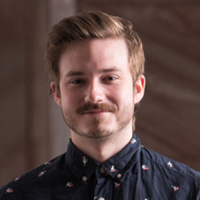 Brand Manager Viktor Jendeby. If you have any questions regarding the site, please send an email to our support. For business inquiries, please contact ads@n24g.se.